If you are trying to figure out how to study the Bible, you are doing the right thing. The Bible is something that needs to be studied because it is the final authority. It holds important information about our past, present and future. It is also not like a normal book that you just read and leave. It’s a lot more like a math or history book in that it needs to be studied. Not only that, of all things that can be studied, the Bible is the most important one in the world. The Bible claims to have been written by God, the one who made us. It is special information from the world’s Maker to mankind. In order to understand it properly, though, we need special help. The Bible says that if God doesn't help you, you won’t be able to understand what it is saying. Because of this, we need to rely on God to help us to understand. We shouldn’t try to figure everything out on our own. The Bible says that the words of the Bible are "spiritual" and only a person who is thinking in a "spiritual" way can understand them. The good news is that people do understand them when God helps them. That means that the miracle of God's power is alive and well today. God also says in the Bible that He is willing to give anyone wisdom when they ask Him. So, a good way to start your study is by asking God for the wisdom you need to understand it. After many years of study, I still depend on God to help me in my search for wisdom. In order to understand the Bible, you must first believe that it is true. You can't discover the Bible to be true and then believe it. The Bible is the "ultimate standard" for life because there is no one capable of being a higher authority than God. Nothing else can "prove it." You have to come to the Bible deciding to consider it as an "ultimate standard." We also call it a "worldview." If you struggle with this idea, you may want to read my other article on why we should study the Bible. Since the Bible contains the words of God, the Bible is perfectly consistent with itself. We should use this fact to help us study it. Whenever people write books, they might be wrong, but God isn't like that. He's always right. This means that the only time we know anything to be true is if the Bible says it first. All of the other things come from people, or from our own limited observation. So when we study the Bible and wonder what it means, we should look to other parts of the Bible to help us get a better understanding, rather than depending on what people think. One good thing that Bible teachers can do is explain what the words mean, and to show how the different parts of the Bible connect. They can also help us to see where it applies it to our lives today, by showing how it connects to what goes on around us. If a teacher says something different than what is in the Bible, then that teacher should be ignored, and the Bible should be believed. One of the most common mistakes that people make when they read and study the Bible is that they take parts of it out of their original context. This is a common practice with the Bible, but not as common with forms of communication. Whenever we speak, we speak in sentences and paragraphs that go together with the ideas we want to communicate. The person who knows most about what is being communicated is the author or the speaker, and the author doesn't expect you to take words out of what he says and make up your own ideas. The author is trying to communicate an idea already. So, when we study the Bible we should make sure that we understand the ideas that the author was intending to communicate to us. I highly recommend studying the Bible every day. This world is against God and His words. We need to keep hearing them. The Bible teaches the idea of forming good habits. If we start a bad habit, it is hard to get rid of, but the same can also be true about good ones. If we force ourselves to do something good every day, after a while it can become a good habit. The first step in Bible study is to read it. There's no way around that. Reading the Bible is powerful and you don't need me to do that. God has made the Bible in many languages on the Internet. This is also the only step that I can help you with. I can make it easier to read and understand the Bible, but the next two steps are important and you have to choose to do them yourself. The second step is to accept and believe what the Bible says. You can't just read the it and expect it to help you. There are Bible schollars out there who don't believe the Bible, yet teach it in college. They probably have read it more than many Christians have. If you treat the Bible like the authority that it is, you need to accept what it says as true. Finally, you need to do it. This just means that you act on what you have read and claim to believe. You don't really believe it if you don't act on it, and you won't be able to really know the Bible unless you live it. This is the final and most important step of Bible study. As I mentioned before, I can help you with the "Hear it" part of Bible study and these are some of the things I have for you. The best thing, however, is to follow my example and do all three steps. 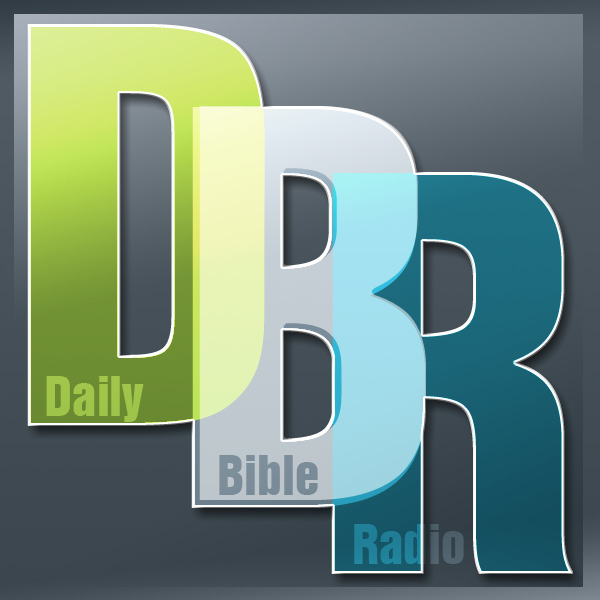 I do a daily Bible study through the web and on podcast. It is currently free. You can go there right now. 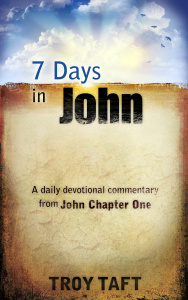 This is a whole ebook that you can read at your own pace that will take you through one of the best books in the Bible to start with: The Gospel of John. This book is the story of Jesus life on earth by one of His closest disciples. John's purpose is that we might believe in who Jesus is by reading it. 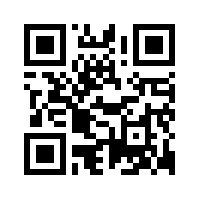 This is a link to the free Bible that I use for my commentaries. It isn't a fancy site, but this version of the Bible isn't under a copyright. That means that unlike other "free" Bibles, you can cut and paste this one and send large amounts of it to your friends without breaking the law. I have a blog where I talk about things I'm writing and anything else I want to share about things from a biblical perspective.